This year, I decided against riding at Banbury, instead going along purely in an observatory capacity without the added complication of trying to ride as well as undertake my other duties on the day, which basically entail note-taking, pictures and talking. Lots of talking. Although I didn’t ride at Banbury, as I write the next six weekends in the diary all have things written against them that I’ll hopefully be doing, so be an opportunity to exercise some motorcycles, and then it’ll really feel like the riding season is in full swing. We (dad and I) spent a bit of time the week before last with my cousin, too, indoctrinating him in old motorcycle lore. Though cousin Dan passed his test 18 months since, and had a modern 125 a while ago, he’d never ridden anything with the gear change on the right, or experienced the ‘limitations’ of older brakes. 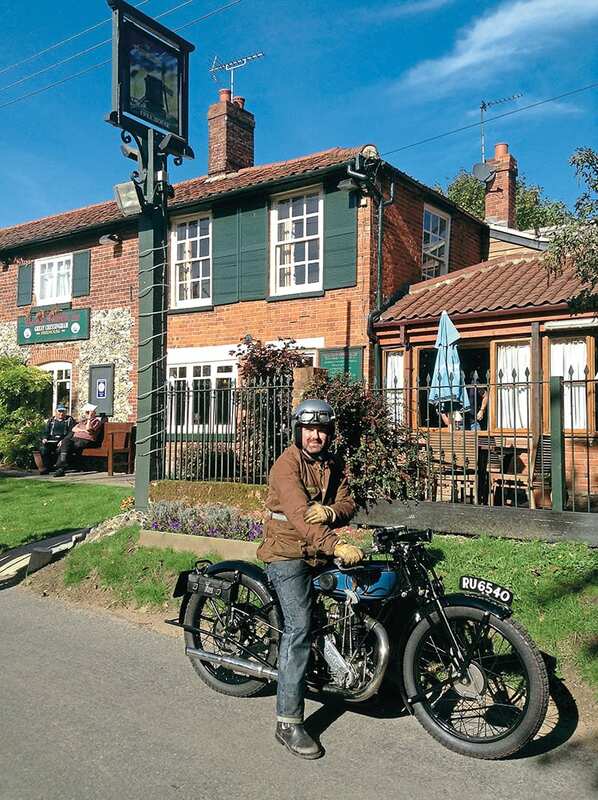 But an hour or so going up and down the road on a late-1950s Velocette MAC we have, with a few stops and turns put in, and he was confident and competent enough for us to embark on a 70-odd mile ride around the back roads and lanes of Norfolk which he agreed was an entirely pleasant way to spend a few hours. Hopefully, that’s another convert and he’ll be joining us for some of these busy upcoming weekends.